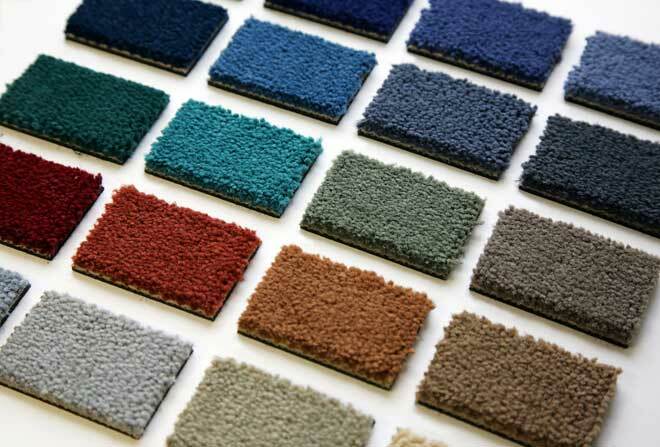 If you’re considering a new carpet, you have a number of choices to make about the material it’s made from. In the United States, the overwhelming majority of carpets are manufactured from six fibers: nylon, polypropylene, polyester, acrylic, cotton or wool. As you can see, only two of those are natural fibers. It’s wool, however, that’s most often considered superlative when it comes to quality. When makers of synthetic carpet fibers want to test their product for natural feel and comfort, wool is the standard of comparison utilized in the test. One way to experience the benefits of wool first-hand is to check into one of many five-star hotels. Most typically feature wool carpeting in luxury suites. However, wool carpeting is not only for those with five-star budgets. It also appeals to many average homeowners who are willing to make a meaningful investment in upgrading their interior environment. Those comparing and contrasting wool to other carpet fibers will discover some of the following strengths and weaknesses. Wool carpeting is manufactured from short lengths of wool derived from sheep. These lengths are spun and twisted together to compose long yarn threads that compose the carpet tufts. Though a higher-end product, wool is not delicate. Its resilience is rated good to excellent and when properly maintained stands up to decades of wear. 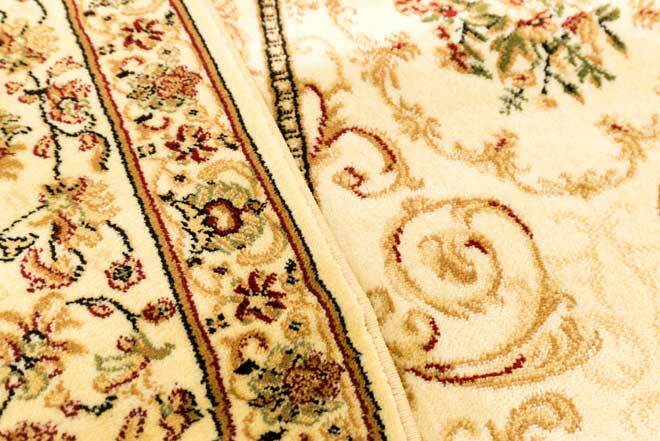 One notable aspect of the durability of natural wool carpet is its inherent elasticity that resists crushing. Unlike some synthetic fibers that eventually become matted down due to foot traffic or heavy objects, natural wool springs back underfoot and beneath the weight of furniture, retaining its original thickness and springy feel over years of use. Wool is extremely color-fast and sustains original color over years of wear and cleaning. The molecular structure of wool accepts dye very well and locks it in. This characteristic allows wool carpeting to be available in a wide range of colors and patterns, accommodating subtle variation in shades to achieve a high level of aesthetic appeal. Wool has natural luster and light reflection qualities that are never quite imitated by synthetic fibers. Wool is a highly effective natural insulator —just ask any sheep. Those insulating properties are evident when wool carpeting is installed on the floor. In winter, indoor heat energy naturally radiates through the floor and into the colder crawl space or concrete slab below. Heat loss through the floor in winter has a measurable effect on household energy efficiency as well as indoor comfort. Wool carpeting insulates the floor effectively to retard heat loss, reducing heating costs and making rooms more comfortable in winter. Wool also naturally absorbs water vapor from the air, helping to moderate high indoor humidity that often occurs during summer months. Another fortunate side-effect: wool’s unique moisture-absorption properties inhibit static electricity, reducing those annoying static shocks common in cold, dry weather. Wool has a natural coating that resists water-based stains, which make up the majority of common spills. Spot removal is uncomplicated if spills are dealt with promptly. The scaly structure of individual wool fibers, visible under a microscope, prevents soil and dust particles from attaching securely to the fiber as well as limiting penetration of dirt deep into the pile. One study shows that soil is released up to 25% easier from wool versus synthetic fibers. Similarly, because deeper penetration is reduced, dirt, dust and other contaminants are retained in the upper portion of the pile and more readily vacuumed out. Wool is certainly sustainable. Sheep grow a thick new coat that must be sheared at least once a year and the average sheep produces over 7 pounds of wool per shearing. Manufacturing carpets made of wool consumes up to 1/3 less electricity than the amount required to fabricate synthetic nylon or polyester carpeting. Wool is also recyclable and biodegradable and won’t take up space in landfills for a century like synthetics. Wool carpeting is naturally flame-retardant and has a higher ignition point than other synthetic options, making it resistant to dropped matches, cigarettes, sparks and other sources of fire. Crowded public facilities like airports and casinos often utilize wool carpet for this safety factor. Price varies according to the source of the wool. However, the most desirable types of wool carpeting typically cost up to twice as much as nylon and polyester, averaging in the range of $5.00 up to as high as $26.00 per square foot. Water-based spills on wool are an easy clean-up when flushed promptly with clean, warm water and thoroughly air-dried. Oily or greasy spills, however—not so much. 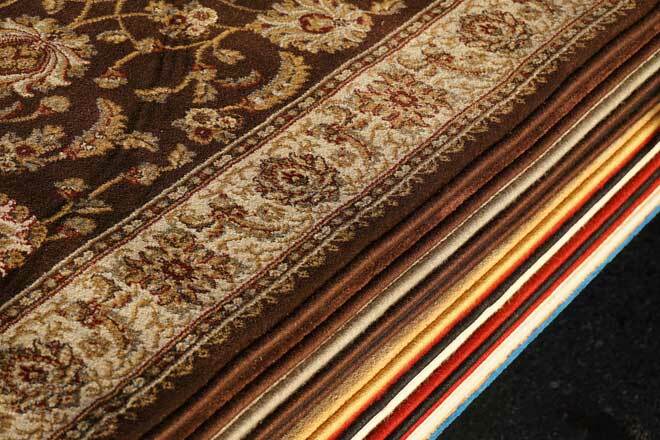 Of course, any carpet can be difficult to clean when these substances soak into the pile. However, wool may be more likely to permanently stain, especially when the spill of an oily or greasy substance isn’t immediately and properly addressed. Further complicating cleaning issues, some highly alkaline detergents or household cleaners can themselves be damaging to wool and may mar the carpet. When it’s time for carpet cleaning, DIY methods with rental equipment or common household cleaners aren’t recommended. It’s best to hire a professional carpet cleaner specifically experienced in cleaning wool. While wool’s natural tendency to absorb water vapor out of the air is a plus in moderating indoor humidity, larger amounts of actual liquid water may saturate and waterlog the fibers. As wool tends to retain liquid, this can result in mildew. A typical household example would be wool carpeting installed where it is frequently exposed to wet, bare feet, such as in or near a bathroom. For certain insects, that is. Moth and carpet beetle larvae naturally feed on wool fibers. To prevent damage from these pests, wool carpeting is often permanently pre-treated with a mild insecticide called Permethrin. Some persons may be uncomfortable with the idea of having carpet treated with this chemical in their indoor environment. A World Health Organization report as well as a study published by the International Journal of Hygiene found no ill effects or adverse consequences to humans due to long term exposure to this insecticide. Nevertheless, for those who still have qualms, there are sources of wool carpeting that has not been treated to Permethrin. Wool is the classic, natural carpet synthetic carpets only wish they could be. It has all the virtues of superior feel, as well as the aesthetics of rich colors and patterns. Wool also imposes certain complicating factors when it comes to dealing with stains and generally caring for the carpet. In most cases, it definitely costs more than synthetic alternatives, too. If you shop and select carefully, however, wool delivers all the benefits you’re paying more for.